Help 4 Year Old Dnyanada Undergo Her Second Open Heart Surgery. My name is Nilambari and i am a housewife. 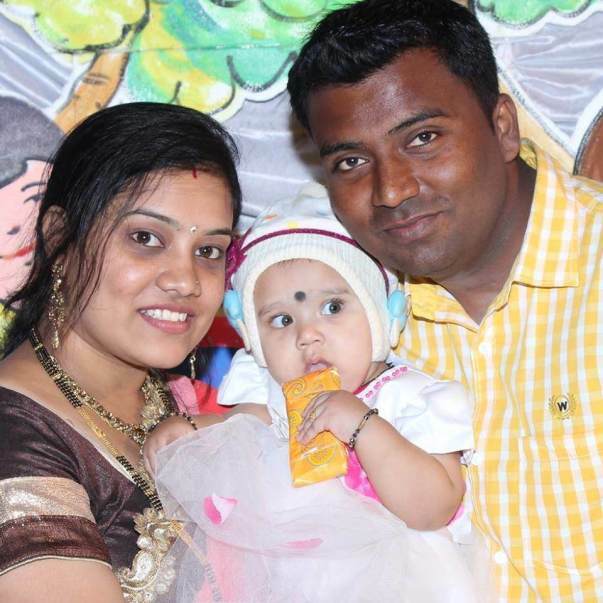 Me and my husband along with my in-laws and my 4 year old daughter Dnyanada stay in a small town in Raigad Murud. 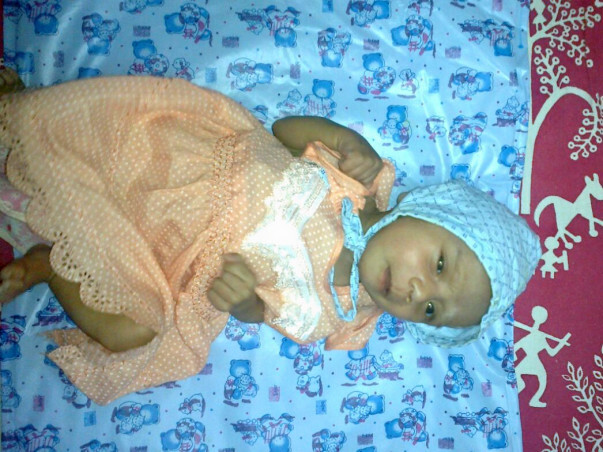 Dnyanada was born on 29th of December 2013 and immediately after 2-4 days her abnormal breathing was recognized by her grandmother and was rushed to the district hospital where her condition was taken very lightly by the doctors. As her breathing problem continued and her condition started deteriorating further , we shifted her to pediatric hospital at Panvel where cardiologist's opinion was taken but proper medical attention was not provided. Next day it was advised to shift her to a better hospital in the city. Hence first she was taken to Jupiter hospital at Thane where she was admitted in ICCU but again the hospital could not give her proper treatment as her general medical condition was not good. 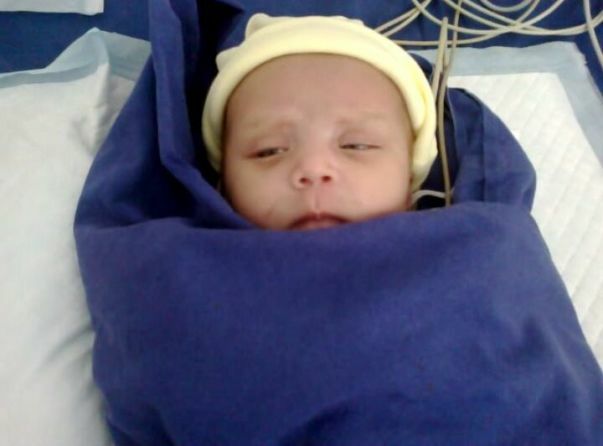 Further she was shifted to KEM hospital (NICU) where she was kept on ventilator and angiography with angioplasty was performed. 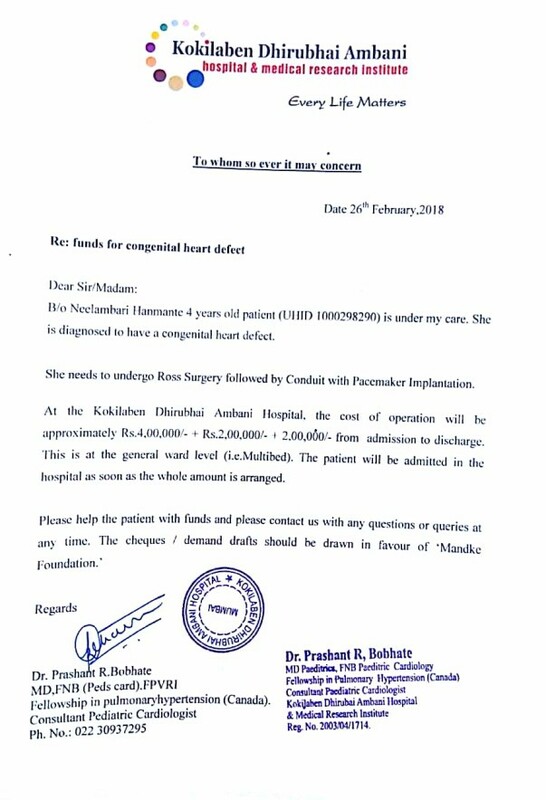 Due to absence of pediatric cardiac surgeon she was again shifted to Kokilaben hospital at andheri as the surgery was necessary. In kokilaben an open heart surgery was carried out for ASD , VSD and coarctation of aorta. 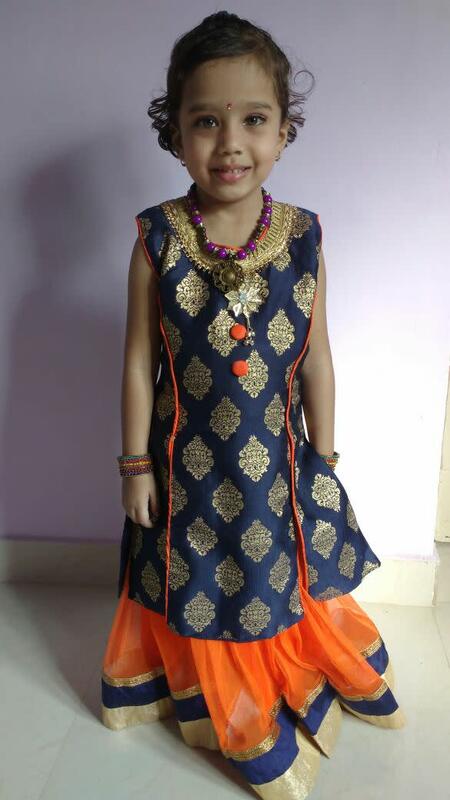 Her condition was very severe even after surgery but the surgery was a success. During her post surgery followups (After 6 months) it was found that there is a membrane growing inside her heart at aortic valve. Doctor advised to wait but also told that it could prove fetal if the growth of membrane does not stop. Unfortunately for my daughter the odds were not in her favor. The membrane growth has now gone up to 80% and the doctors have again advised an open Ross surgery follwed by conduit with pacemaker implantation. Estimated expenditure for only the treatment is around Rs.8-9 lakh. As i said earlier i am a housewife. We are a family 6 people. 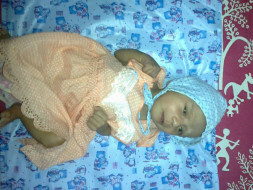 And my husband's monthly income 7,500 INR and we have already spent a lot of money on her first surgery. Due to all medical expenses we are already in debt and hence to gather the required amount of money we are forced to postpone the surgery. Hence i am creating this fundraiser in a hope of getting some financial help. It would be very kind if you people could help me raising some funds. As told by the doctors the surgery could prove fetal but if we are able to do the surgery in time it can save her precious life.
" Lets give my daughter a second chance at her life so that she lives long enough to see this beautiful world. "